Hear about our upcoming changes and what to expect in Boise! As we prepare for GWS 2019 we're working hard on some big improvements to make Go West even better than it already is! We're very excited to announce that the Go West Summit website is getting a new look! We're cleaning up the appearance and hoping to make it more user-friendly than ever. The photo above is a sneak peak of our new home page. Registration opens on May 1st ! In other NEWs, this year, we're giving you more bang for your buck when it comes to premium ads. Now, with the purchase of any premium ad, you will also get the opportunity to include a 1 sheet marketing material in the Go West Summit welcome bags! Premium ads include tab dividers, inside front cover, and back cover. You can place your order now! Review our advertising rate sheet here. Finally, and perhaps the most exciting news of all, we are opening registration one month early!! That's right, registration will open on May 1st this year. But that's not even the best part, you will get 6 weeks of early bird registration!! The early bird period will be open from May 1st to June 8th, see below for this year's rates. This year we are going to Boise, Idaho and couldn't be more excited. The city has changed a lot since we were last there and the Boise and Idaho teams are working hard to make this an incredible year. We will be hosted at the Boise Convention Centre with our host hotels being: the Grove Hotel, the Residence Inn, and the Hampton Inn. SUPPLIERS: Some of our sponsorship packages already include registration, like our West Sponsorship, take a look at our sponsorship menu BEFORE you register. With a sponsorship package that includes registration, you'll actually save money on boosting your impact at Go West Summit. And don't forget, we can customize any sponsorship to fit your needs. If you register and decide later you want a sponsorship package, don't worry, we can customize the invoice so you don't pay for your registration twice. Where in the world is Spuddy Buddy? 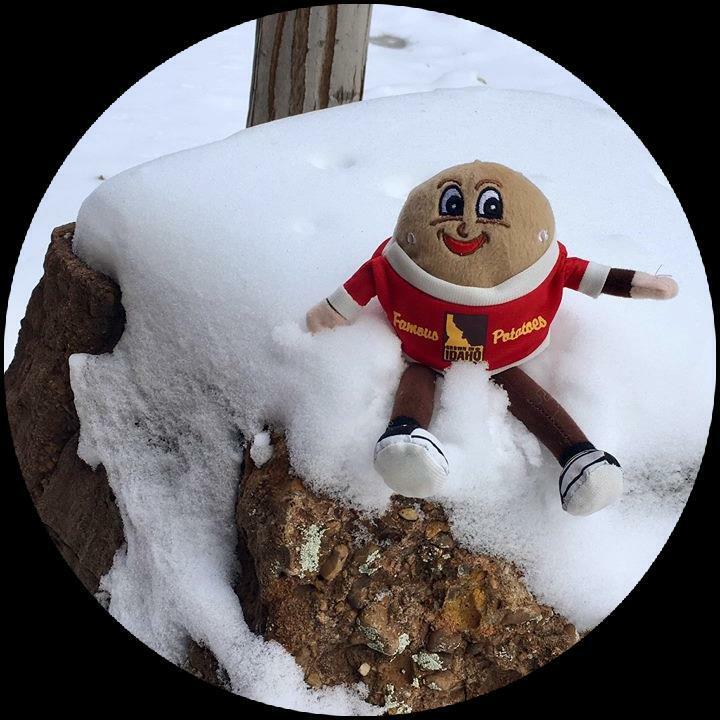 You may have noticed that Go West Summit and some of our wonderful partners have been posting pictures of Idaho's favorite potato, Spuddy Buddy. That's because there is a contest going on for Go West Summit participants. Be sure to keep an eye out for Spuddy Buddy and follow our partners that are posting to stay up to date on their adventures. We can't wait to see where Spuddy ends up next! For the Most Up-To-Date Information, Follow Us on Social Media!